This is going to be my first blog entry. 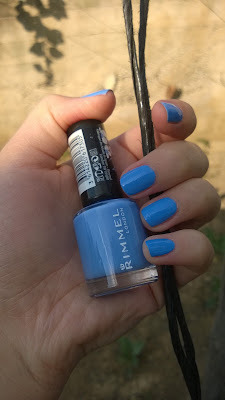 I would like to begin with a beautiful nail polish which is Rimmel London Rita Ora 60 Seconds 860 Bestival Blue. I bought this nailpolish last summer. 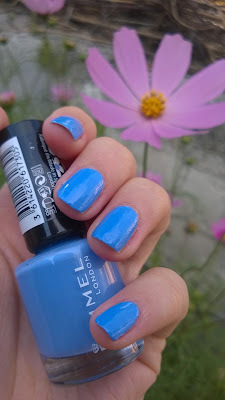 I think it is great for summer but who cares? If you like you can use it every time. It doesn't dry in 60 Seconds as the title says it. It dries very fast (2-3 minutes) though. Its formula is thick. One coat is enough but I use it 2 coats anyway. As you can see above, its brush is very thick. It has those one-step brushes. 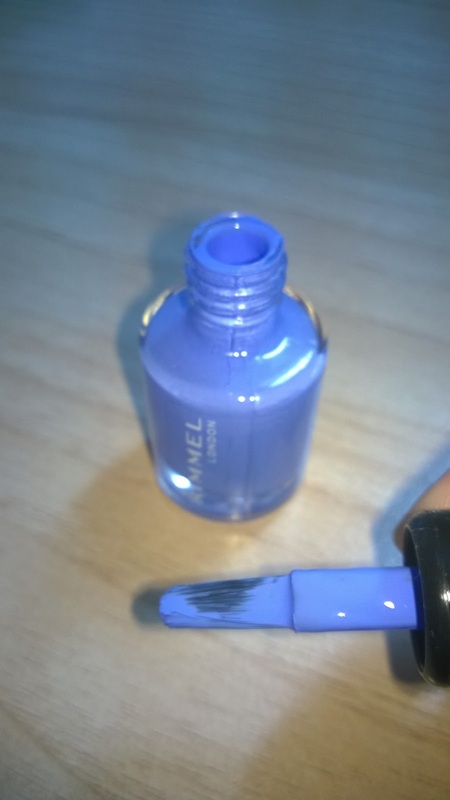 I usually can't bear same shade not more than 3 days but I can say that you can use it 2 days at least. It is a nice shade and its price is affordable . 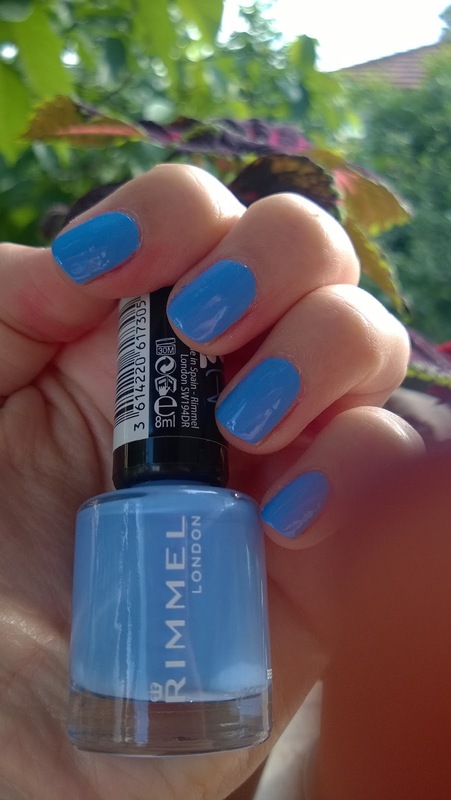 I totally love this nail polish. I recommend it to you too.